Tuberculosis (TB) has been a significant disease across human history and it is probable that it has killed more people than any other disease. It can occur in any organ of the human body but is most well known in the lungs. 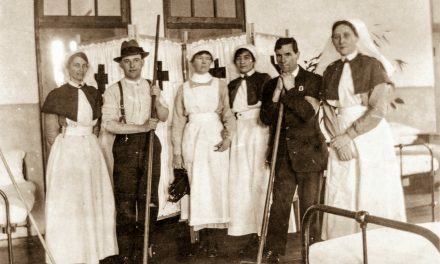 It was a major disease leading to discharge for soldiers in WWI and WWII where close living quarters, particularly in tuberculosis infected countries in the Middle East increased the risk of infection. It took until the mid 20th century to show that tuberculosis was transmitted by inhalation of infected air droplets. Public Health campaigns around Australia discouraged people from spitting – signage was placed on walls, in trains and on the streets. Long dresses for women were thought to be a potential risk by trailing on the pavements so shorter hemlines were encouraged. Also, beards and moustaches were thought to be less hygienic, so men were encouraged to be clean-shaven. 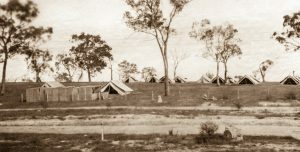 Prior to the opening of the Gresswell Sanatorium, patients with TB, many of whom were returning WWI soldiers, were housed in tents erected on the slopes of Gresswell Hill. The Gresswell Sanatorium for males was built in 1929 but due to funding shortages, was not opened until 1933. 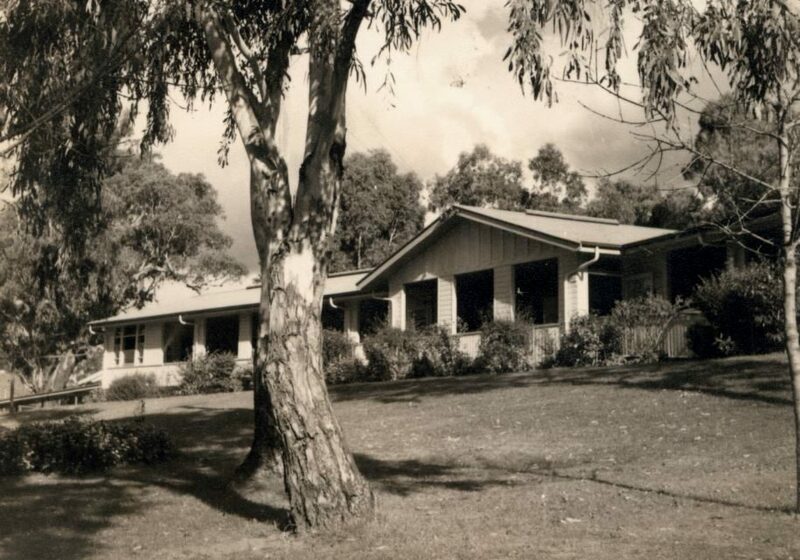 It was surrounded by 52 hectares of Crown land as a buffer for the surrounding hospitals and housing. Initially it had 48 beds in 2 wards. In the 1950s prisoners from Pentridge with TB were also sent to Gresswell. In 1956, two wooden wards M8 and F11 (changed to mixed wards MF4 and MF5) were built for TB patients. Originally planned in 1949 they were eventually occupied in 1960.The wards were called the No. 1 Military Sanatorium Mont Park, 3rdMilitary District, later to be split into the Gresswell Sanatorium and Macleod Repatriation Hospital. Some returned servicemen, including those who had contracted TB were referred onto Janefield for retraining, in preparation for being discharged into the Soldier Settlement Scheme. In 1720, Benjamin Martens, an English physician, introduced the sanatorium cure. One longstanding treatment was a combination of bed rest, fresh air and posture. 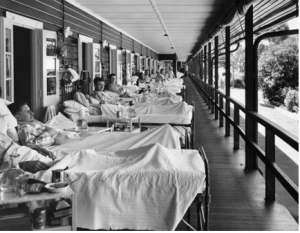 In Australia and elsewhere, patients were often nursed outside under balconies, in open air sheds or on verandas to expose them to the fresh air. The importance of good nutrition was recognised. From 1882, surgical procedures were developed which collapsed the lung or part of the lung, enabling the cavities in the lungs to close and heal and to decrease the bacteria produced by the lungs. This was a not a permanent procedure and patients had to have oxygen or nitrogen injected into the chest cavity every few weeks to keep the lung collapsed. 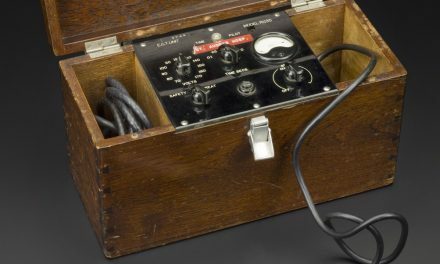 Another reversible treatment in the 1930s and 1940s was phrenic nerve paralysis. The most invasive surgical treatment involved removing some of the ribs on the side of the infection (Thoracoplasty). This meant the lung was permanently at rest and was an effective treatment as the bacteria require oxygen to survive. This surgery was very disfiguring and could be fatal. The first chemical treatment, Streptomycin was introduced in 1946. The disease process itself makes cures difficult, as TB can lay dormant or lie deep in the pulmonary cavities where the drugs do not reach. 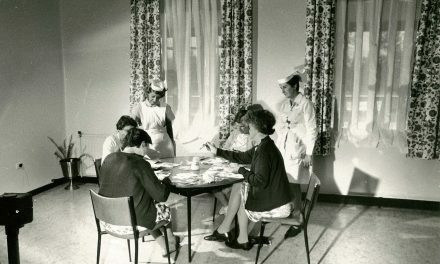 Gresswell was closed to TB patients in April 1970 when it was then used to treat alcohol and drug dependent patients; it later became the Alcohol and Drug Dependent Services Branch. 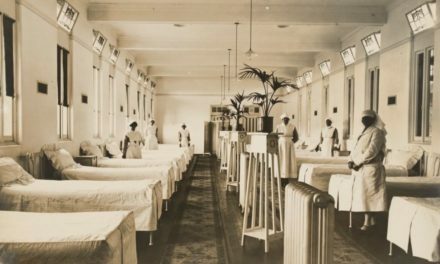 It had 140 beds, treating about 500 patients per year. It was finally closed in June 1995, with funding redistributed across the state for the development of community drug withdrawal services, specialist methadone services, specialist consulting and support positions. Bircanin, I. & Short, A. (1995) Glimpses of the Past – Mont Park, Larundel, Plenty. The Authors, Melbourne. Frith, J. (2014). History of Tuberculosis. Part 1- Phthisis, consumption and the White Plague. Journal of Military and Veterans’ Health.Vol. 22, Number 2. pp. 29-35. Special thanks to Rebecca Le Get for additional information from her work for her PhD.